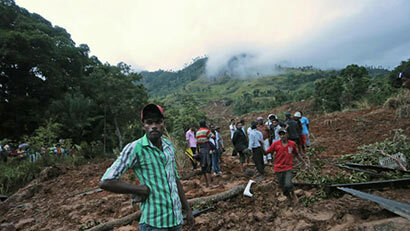 New Delhi: India today offered assistance to Sri Lanka to help hundreds of people affected by the landslide in Uva province of that country. Indian High Commissioner Y K Sinha spoke to Sri Lankan External Affairs Minister G L Peiris and offered the assistance to deal with the landslide disaster which took place this morning. Around six line houses of plantation workers collapsed in the disaster and Sri Lankan Army was already undertaking disaster relief. As per reports, over 200 persons have gone missing. Plantation Estate houses and other buildings were destroyed in Koslanda, Haladamulla and Meeriyabadda.